Your one stop shop for creating one-of-a-kind, handmade works of art! We have plenty of pieces for you to choose from, no matter your age! 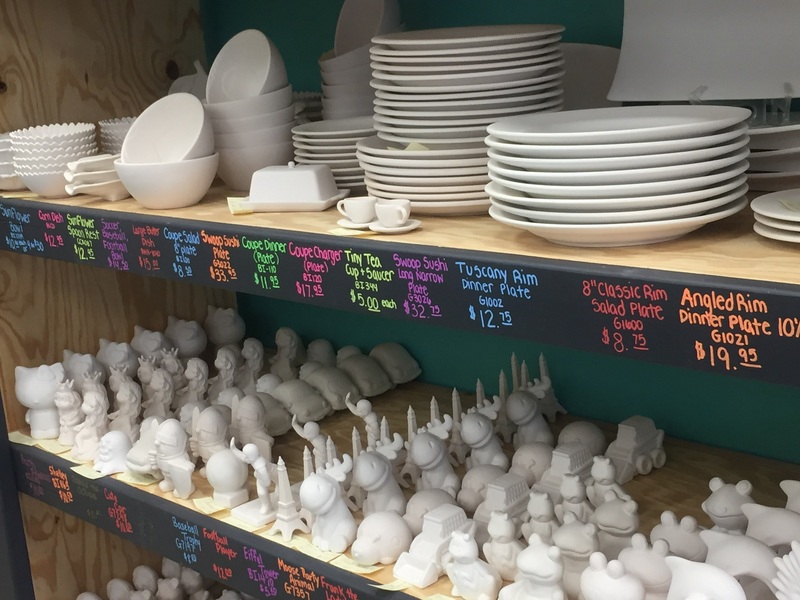 We have quite a large collection of figurines, banks, boxes, ornaments, mugs, plates, cups, bowls, teapots AND MORE! 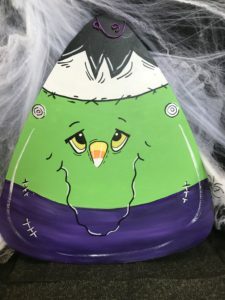 We also have specialty items for every holiday! You name it, we have it! Looking for something specific? Give us a call ahead of time and we'll be sure to let you know what we have in stock! We offer a variety of party packages for both children and adults! 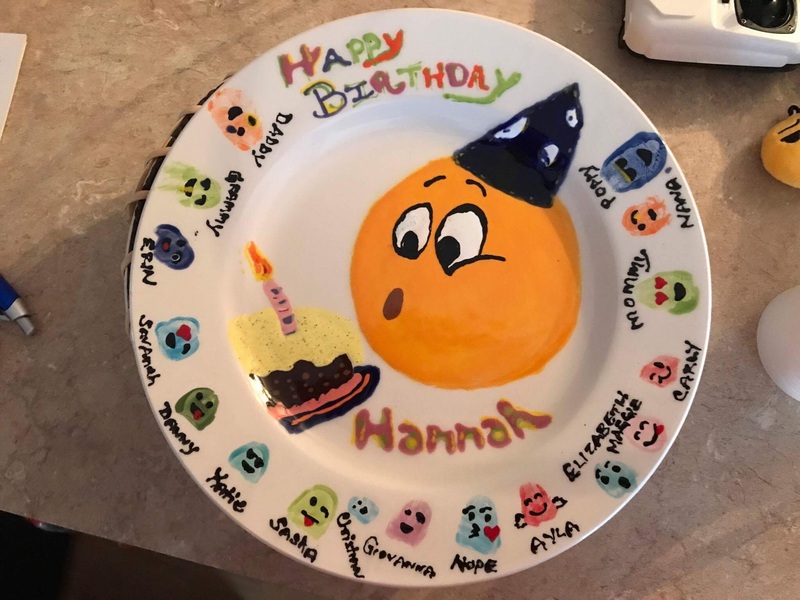 With every party, you get a custom party plate to take home as a keepsake! Every week we host a series of classes in the studio where we walk you through the steps to creating a unique masterpiece! Each week's class is different than the last. We have a calendar of classes available in the studio and online. 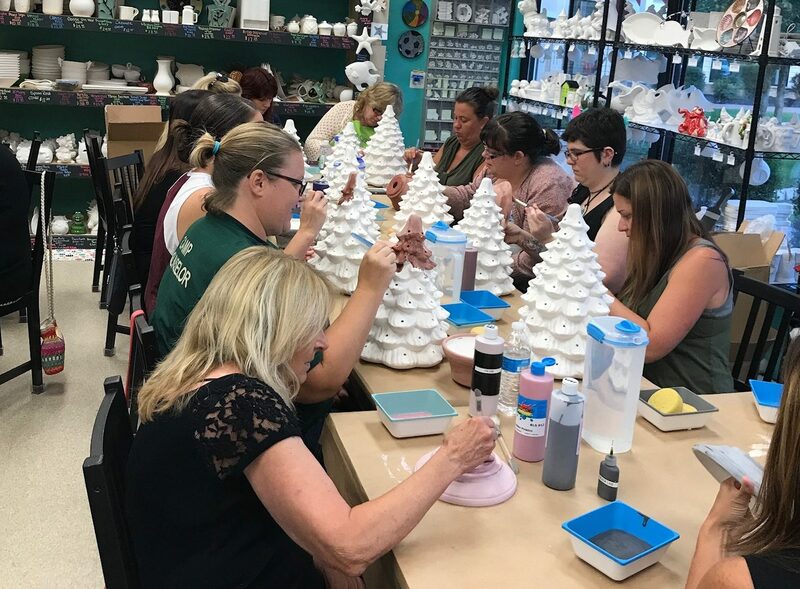 Contact us today if you'd like to reserve a spot in a future class! We have a variety of wooden cutouts and hangers that can be customized for any occasion! Whether you're more of a Monet or a Pollock, we have the tools you'll need to create your masterpiece! We offer monthly classes where we'll teach you how to create some of our most popular designs! Not sure what this is!? We have shelves and carts filled with various forms of glass that can be fused together into marvelous works of art! You can make anything from a sun-catcher to a wine bottle spoon rest, the possibilities are endless! Outside of the glass classes that we offer, glass fusion will be BY APPOINTMENT ONLY! 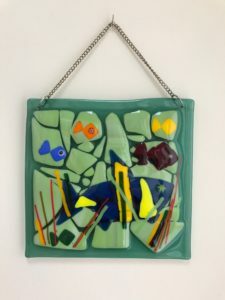 Check out our class calendar to see what glass classes we are offering this month! There's only so much information we can squeeze into one website! If you weren't able to find what you were looking for, please give us a call and we'll be sure to help! Not one for phone calls? Send us a message from our website or on Facebook, and we will get back to you with lightning speed!